G.P. Putnam's Sons, 9780399176807, 432pp. TOM CLANCY was the #1 New York Times–bestselling author of more than eighteen books. He died in October 2013. The New York Times–bestselling author of the Briggs Tanner series, GRANT BLACKWOOD is also the coauthor of the #1 New York Times bestseller Dead or Alive, with Tom Clancy, and The Kill Switch, with James Rollins. 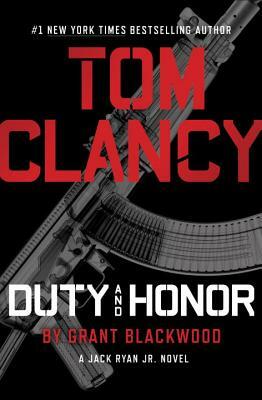 Blackwood is the author of the New York Times bestseller, Tom Clancy Under Fire. A U.S. Navy Veteran, Grant spent three years aboard a guided missile frigate as an Operations Specialist and a Pilot Rescue Swimmer.